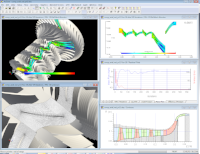 Concepts NREC offers specialized 3D flow analysis software modules in conjunction with our partnership with NUMECA International. 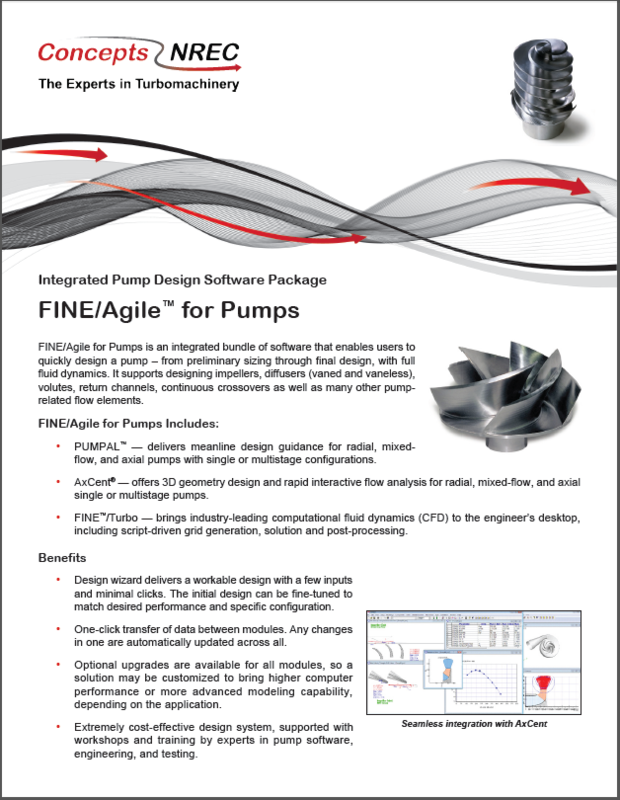 FINE/pbCFD and FINE/Turbo provide Computational Fluid Dynamics (CFD) for the Agile Engineering Design System®. Both are fully integrated with AxCent®, Concepts NREC’s 3D turbomachinery geometry design program, to deliver seamless and efficient transfer of geometry and flow settings. FINE/pbCFD is a baseline tool for CFD users who are interested in a cost-effective alternative to prototype manufacturing and testing. Created for designers by designers, it generates rapid design-level CFD calculations, with equally rapid setup and run times. With fully automatic preprocessing, CFD runs can be setup with just a few keystrokes. Designers can get a full 3D Navier-Stokes solution with no more effort than a streamline-curvature or throughflow solution. To learn more about FINE/Turbo, visit NUMECA International's website. How can we help you? Contact us today to discuss your CFD needs. FINE/pbCFD, AxCent, and Agile Engineering Design System are registered trademarks of Concepts NREC, LLC.